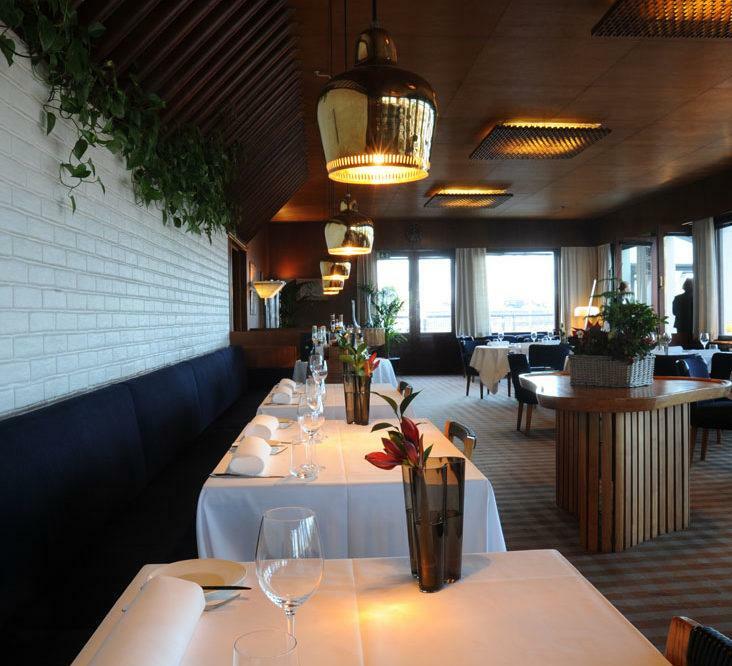 The maritime Helsinki is the biggest city in Finland and home for several buildings designed by Alvar Aalto. 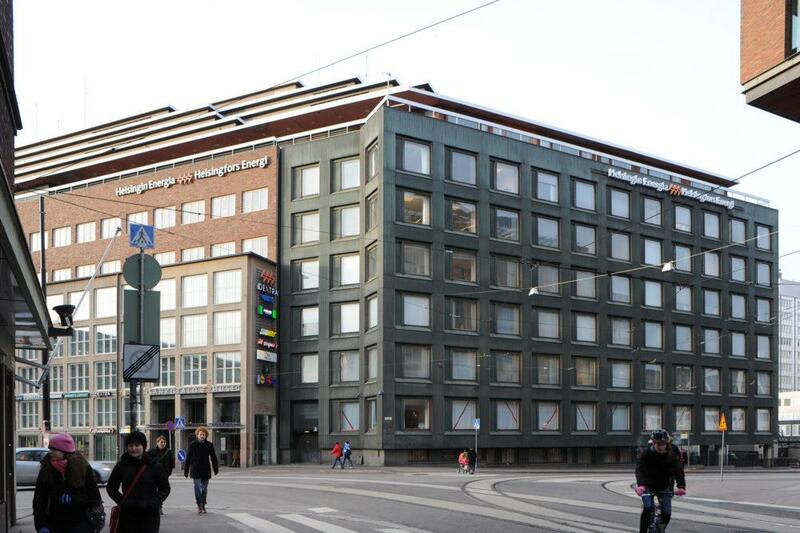 It also contains a wide range of other Finnish architecture from different centuries and decades. 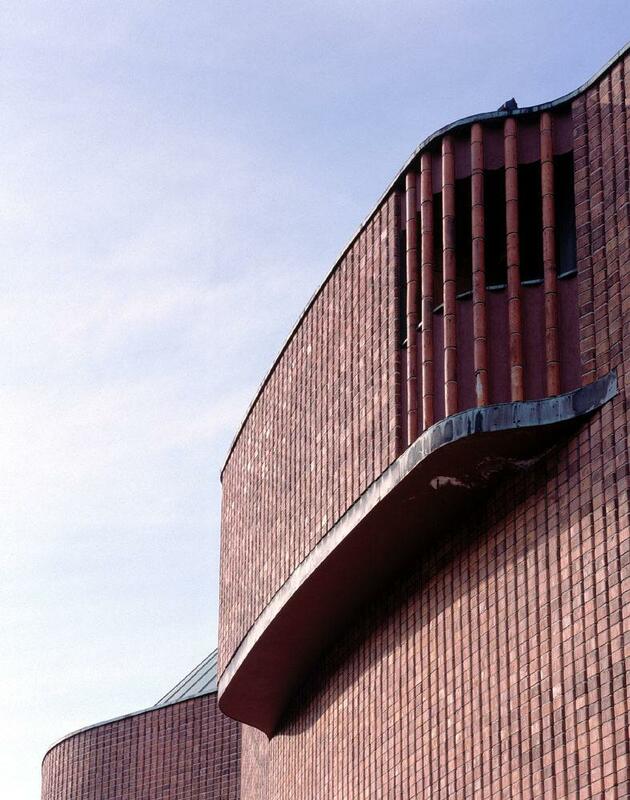 Born in the small rural municipality of Kuortane, Alvar Aalto graduated as an architect in 1921 from the Technical University of Helsinki. In 1923, he established his first office in Jyväskylä, carrying the grandiose name “Arkkitehtuuri-ja monumentaalitaiteen toimisto” (Office of Architectural and Monumental Art). 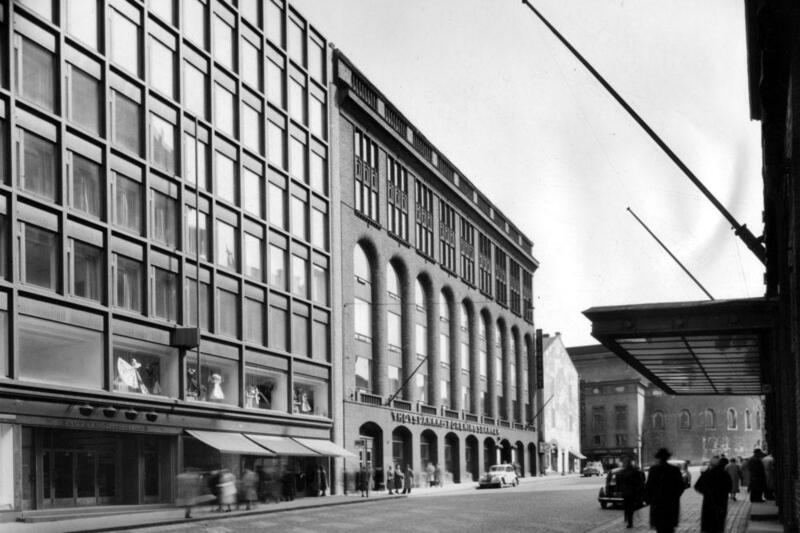 The office first moved to Turku and from there ultimately to Helsinki in the early 1930s. Earlier in his career, Aalto had participated in several major architectural competitions in Helsinki, such as for the Parliament building and Olympic Stadium. 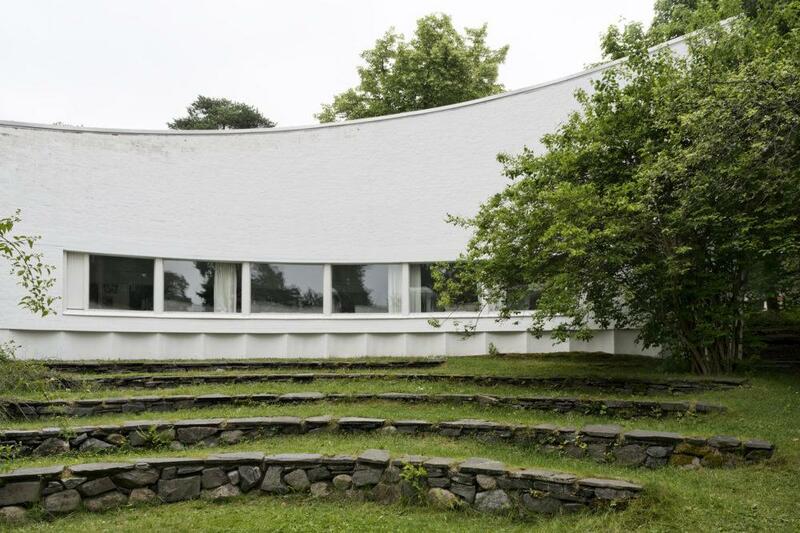 Designed in tandem with his wife Aino Aalto, also an architect, the family’s home was completed in Munkkiniemi in Helsinki in 1936. At that time, the Munkkiniemi area was not yet officially a part of Helsinki. 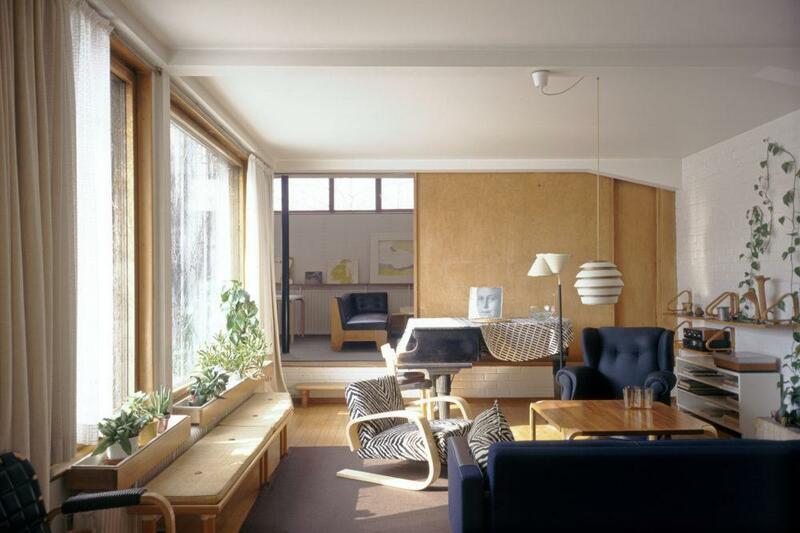 The Aalto house now serving as a home museum was also designed to have a studio wing for use by the architectural office. Aalto knew the area well: as an example, in the early 1930s he designed a residential area (which never materialised) for the M.G. Stenius company in Munkkiniemi. The housing area designed for the employees of the National Pensions Institute were, in turn, completed in Munkkiniemi in 1954. 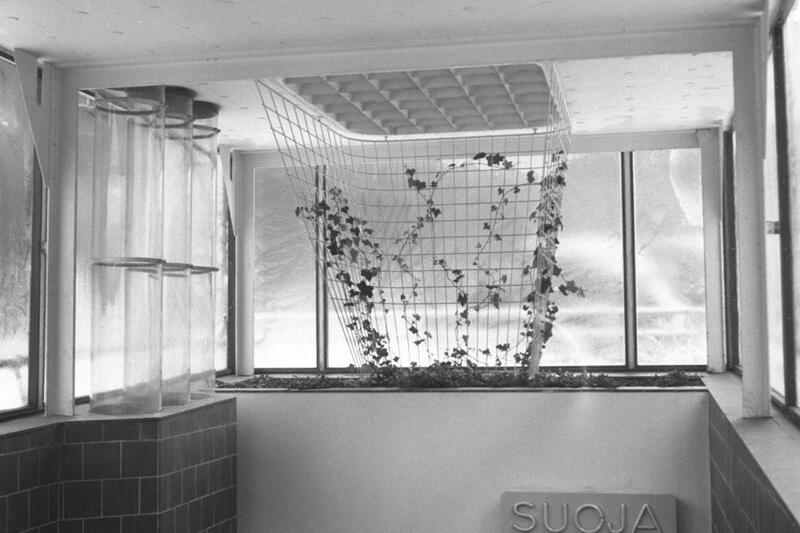 A new building was built in 1955 in Munkkiniemi near Aalto’s home to serve the needs of the expanding architectural office. 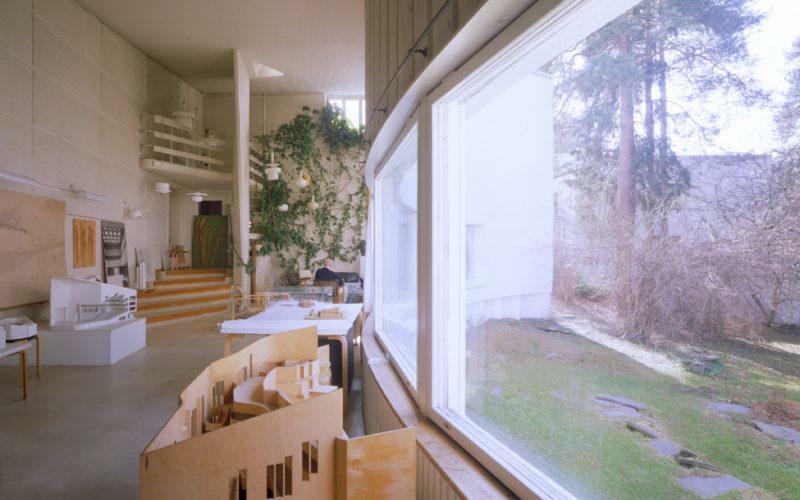 Alvar Aalto’s studio is now the head office of the Alvar Aalto Foundation and a popular attraction among architectural travellers. 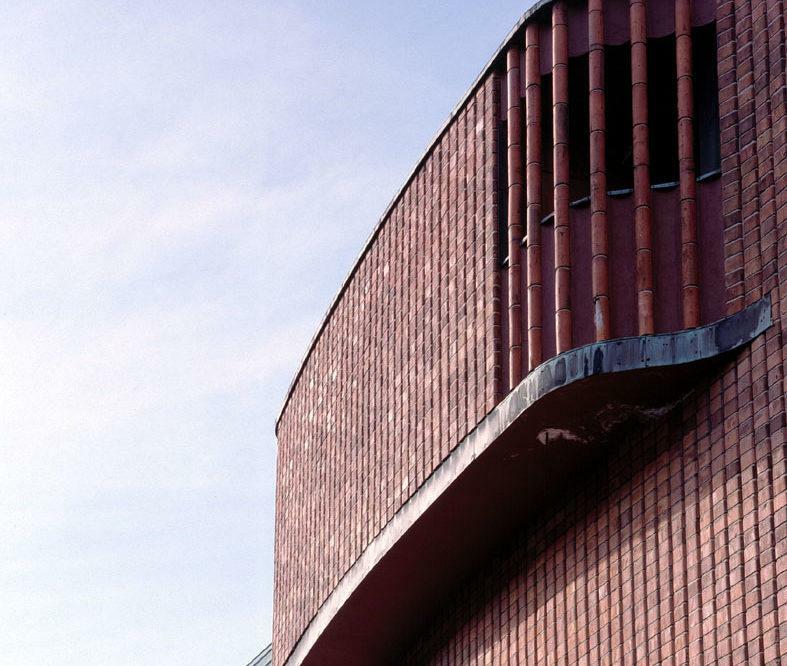 Several buildings designed by Alvar Aalto have been erected in the Helsinki region over the years. The head office of the National Pensions Institute and Enso-Gutzeit Co. Headquarters with their interiors were designed with great care down to the minutest detail for the needs of demanding clients. The centre of Helsinki houses buildings open to the public, such as the Rautatalo Office Building and the Academic Bookstore as well as Restaurant Savoy, which has kept its original interior from 1937 designed jointly by Aino and Alvar Aalto. The House of Culture was completed near the centre of Helsinki in 1958. You can get to explore this building with a rich history and still used for versatile concerts and other cultural events during guided tours. In 1959, the City Executive Board of Helsinki commissioned Alvar Aalto to draw up a plan for the central Kamppi-Töölönlahti area. 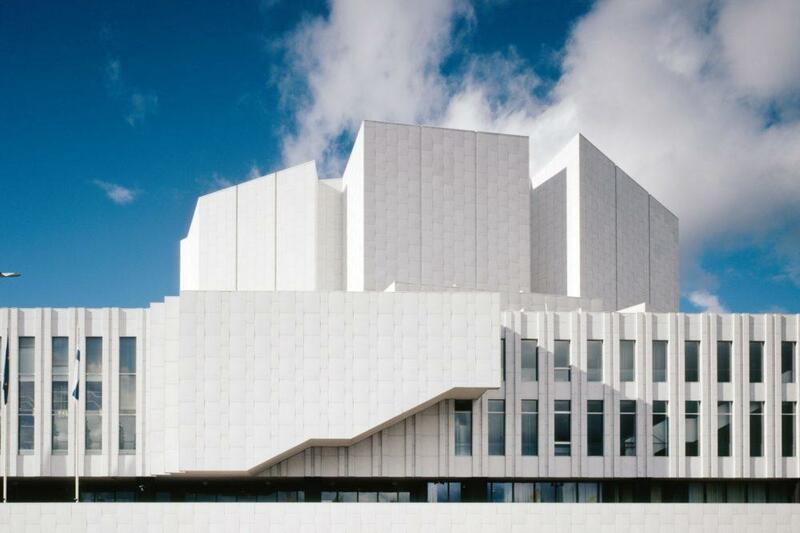 Aalto outlined a new monumental centre for Helsinki, but ultimately only a small portion of the plans were brought to fruition – the Finlandia Hall is the only building of the row of cultural buildings planned along the Töölönlahti bay that was ever built. The Finlandia Hall was designed as a conference and concert venue, and it is one of the last buildings designed by Aalto’s office. 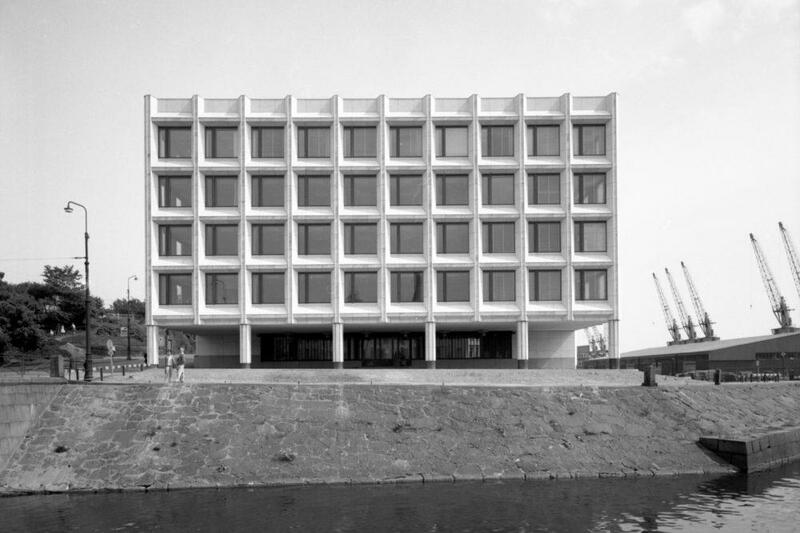 The Finlandia Hall was designed in 1967 to 1971 and 1973 to 1975. 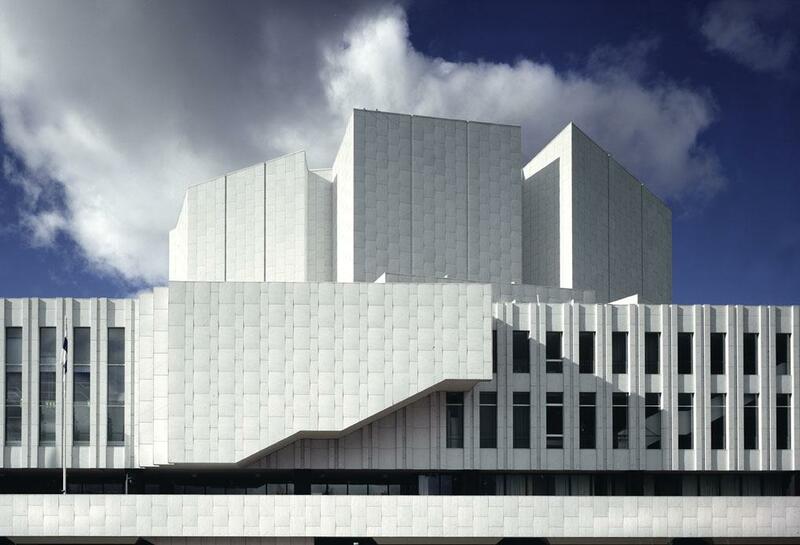 Alvar Aalto died in 1976, soon after the Finlandia Hall was ready. This building can be visited on guided tours and in conjunction with various events. Helsinki is within easy reach with public transport and by plane. There are daily connections either by train or by Matkahuolto and Onnibus buses. Helsinki Airport serves both domestic and international customers. Public transport within Helsinki city is very good with its buses, trains and trams. With the help of the Journey Planner, you can check easily the timetables and routes to the Alvar Aalto sights in the capital. 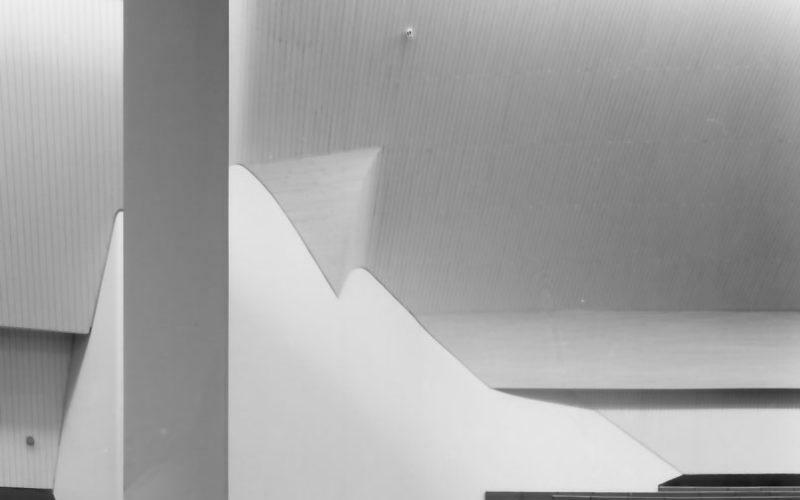 Please note that you can purchase publications as well as download architectural drawings about Aalto’s architecture in Helsinki from Alvar Aalto web shop!